When planning our home renovation, we discussed the possibility of under-floor heating, which although initially more expensive, works out more economic in the long run (and would just be super cool!). We were nearly going to go ahead with this, but realised that our preferred flooring options (all wood), just wouldn’t conduct the heat well enough and it’d be a bit of a wasted exercise. So we’re back to regular central heating and the desire for a wooden floor. 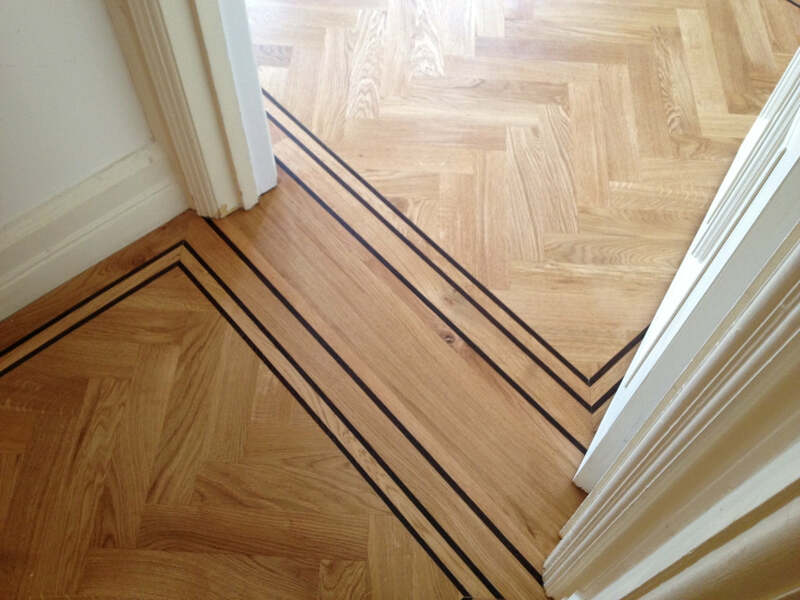 We’ve always preferred wooden floors over other materials in our previous homes and parquet flooring has always stood out as chic and luxurious…but also a bit unattainable. But with our new home renovation, the downstairs extension is the most important part and the flooring is such a huge expanse of space, that we know we have to get it right! We’ve been looking at different parquet flooring options online and already I’m confused. We could go reclaimed (so awesome, but so damn expensive! ), we could go repro, we could go herringbone, we could go chevron, we could go light, we could go dark…we could go crazy! And then what about laying it? Too much to take on as novice DIY-ers I think (plus we just don’t have the time) and so expensive to have it professionally laid. But is it worth it? So now I feel I’ve lost my way a little bit and all the parquet options I’ve seen I like and I’m therefore no closer to deciding what we should go for. There’s no denying it, parquet flooring is expensive. It’s not the budget option. But it’s quality and should last a lifetime really. We don’t mind a bit of wear and tear, in fact we like it when there’s character in a home and in flooring, you can get a way with a bit of scratching and scuffing can’t you? Will it be too much for the eye? I’m worried, that with over 40sqm of flooring, parquet could look a bit too much. This isn’t a Parisian palatial apartment, it’s a 1928 south-Manchester semi! I don’t want to fill the floor with parquet and then feel like it all looks a bit busy. But, it could be the feature and the “wow factor” that we’re looking for. The plan is for all the walls to be white and to make a feature of the furniture and kitchen, so perhaps the floor needs to stand out a bit? We’ve decided we want to go for engineered wood, as although more expensive, we prefer the overall look, feel and quality over laminate flooring. Think it’ll be longer lasting too surely? Then it comes down to colour – do we go for light oak, brushed oak, dark oak, grey oak…? Or something else entirely? I think I always prefer darker woods, but not too dark. Nothing too orangey and something that looks natural. Again, with white walls and hopefully a dark blue kitchen, I think mid-dark woods would work better overall. I love this kitchen and it’s a similar colour-scheme to ours, so perhaps this lighter wood would work better. Is this a sort of mid-oak? What do you think? Any advice on flooring this expanse of space would be greatly appreciated!